Over 40 years ago, 12 Boston women got together to talk about women’s health. This was in 1969, when no one talked about wom­en’s sexuality. Abortion was illegal and birth con­trol had been legalized nationally—for married couples—only in 1965. Breast cancer was an embarrassment and not discussed; it was viewed as a shameful disease. They ended up self-publishing a 136-page booklet on newsprint that cost 40¢. 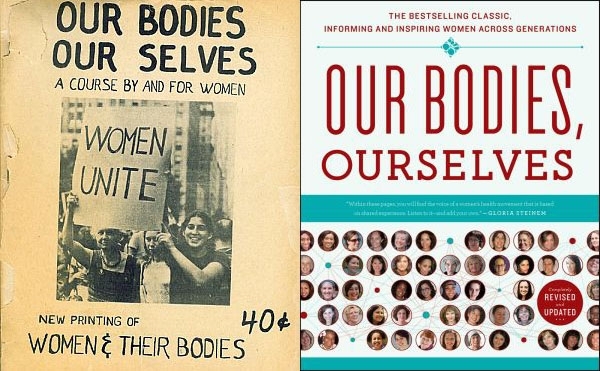 It was so popular—and im­portant—that they formed the Boston Women’s Health Book Collective and over the years published eight more editions of what became Our Bodies Ourselves. It didn’t take long for capitalism to try to fill the obvious need revealed by the feminist self-help health movement that flourished in the late 1960s and early 1970s, trying to submerge a movement driven by wom­en’s desire to become whole, thinking, acting human beings under one driven by profit and more profit. We’ve seen this history made explicit in the few days it took for a supposed charity created to raise awareness about breast cancer, to reveal itself as play­ing politics with Republicans, anti-abortion fanatics, and others who actually oppose women’s right to con­trol our own bodies and health. It may be true that when Nancy Brinker formed the Susan G. Komen Breast Cancer Foundation in 1982, it was to bring awareness of a disease that had taken the life of her sister, Susan Komen, when she was only 36. And there is no question that it did bring awareness of breast cancer front and center. But its de­cision to defund Planned Parenthood shows that it long ago transformed into its opposite and is now a barrier to helping women. It is not that Komen “caved” to anti-abortion fanat­ics who demanded that they defund Planned Parent­hood. It is that they agreed that they should, despite the fact that Planned Parenthood is a leader in testing poor women for breast cancer. Their agreement was shown in hiring anti-abor­tion politician Karen Handel as their Vice President. She was the brains behind their defund-Planned-Parenthood strategy. Not only is Handel willing to sacrifice poor wom­en’s health for her anti-abortion ideals, as the secretary of state for Georgia she was successful in disenfranchis­ing thousands of Blacks, Latinos and the elderly. All this had to be known to Komen. Handel was simply a good fit for them. This isn’t alone a question of the transformation into opposite of Komen. It is what happens when a movement has to co-exist with capitalism, when in­stead of revolution, we get counter-revolution. Even many of those who begin with good intentions are co-opted. Nancy Brinker and her organization no longer work for women, they work to maintain their own power and influence and for the companies that fund them. We can’t roll time backwards, but we can work to retake control of our bodies and lives. That is a revolu­tionary act. This entry was posted in Articles and tagged Abortion, birth control, Boston Women's Health Book Collective, Breast cancer, Breast Cancer and Environmental Research Act, capitalism, Contraception, Daily Kos, feminism, Karen Handel, Komen, Nancy Brinker, Our Bodies Ourselves, patriarchy, Planned Parenthood, Reproductive Justice, Reproductive rights, revolution, sexism, Susan G. Komen Breast Cancer Foundation, Susan G. Komen for the Cure, women's health, women's liberation, women's sexuality. Bookmark the permalink.